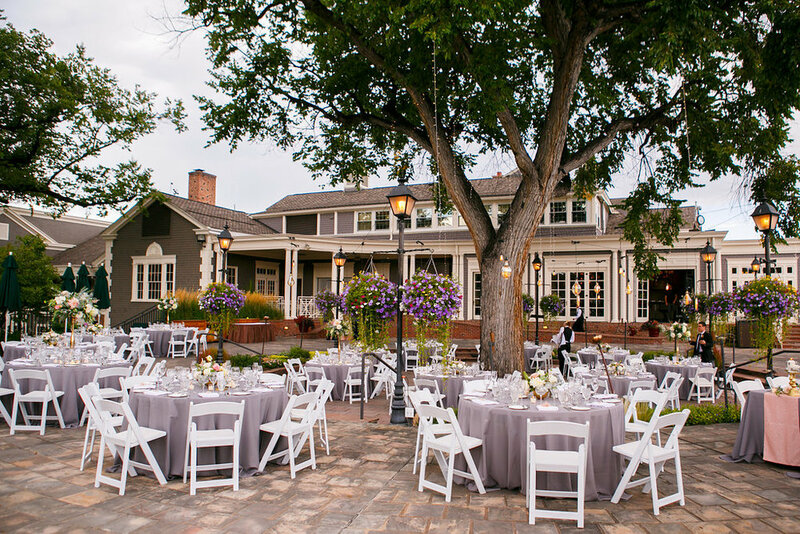 With all the snow and freezing temperatures this month, we have been dreaming of sunshine and outdoor summer weddings. Caroline and Jon's wedding was full of so much warmth and that's not just because it was on a gorgeous day in August! As we dream about warmer weather + summer nights, we wanted to share about this wonderful couple + their beautiful wedding day! From the moment we met this wonderful couple, we could tell how much they loved and cared for one another. 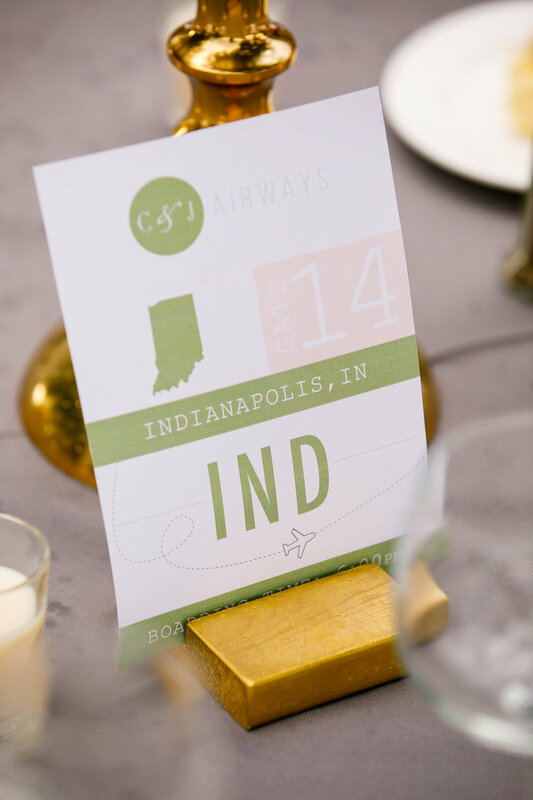 They wanted to include special touches for their big day from their custom invitations to their reception details. 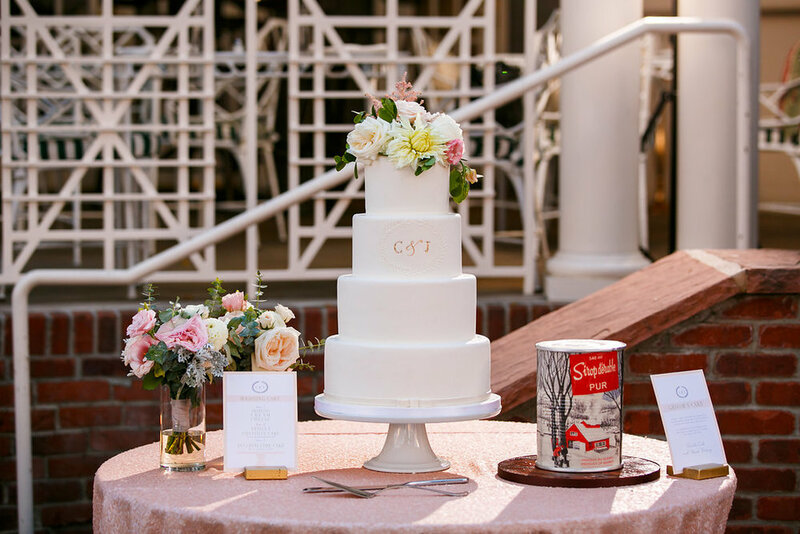 They wanted each detail to share their love story with their guests who traveled near and far to celebrate their Big Day. 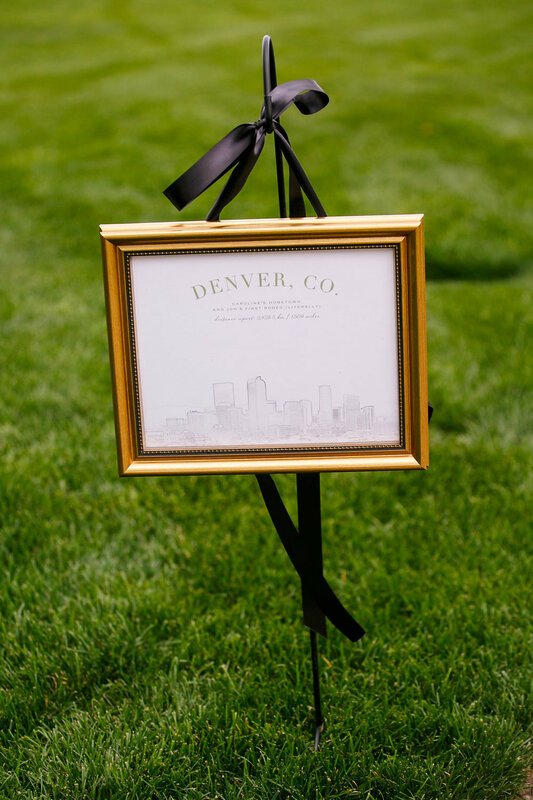 One of our favorite parts was the signs that hung on the pathway between their ceremony site and reception location. Each was a sketch with a description of a significant place in their relationship. Now those pictures hang up in their house as a reminder of the times + places that have brought them to the place they are today. 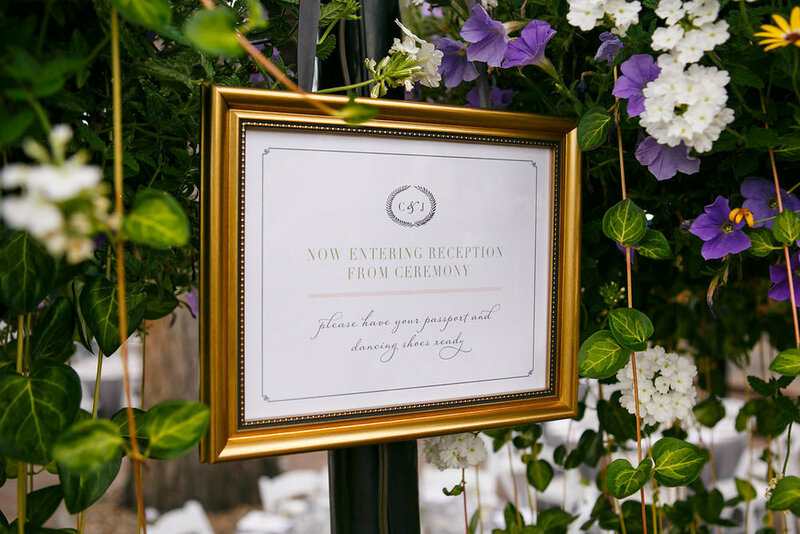 Enjoy all of the gorgeous photos from their special day + shoutout to this incredible vendor team who brought their vision to life! Cheers to more beauty ahead in 2018!